The Ossur Unloader Spirit Knee Brace is an off-the-shelf OA knee brace with customizable hinge attributes. The Unloader® Spirit features lightweight adjustable shells and an Adjustable Dynamic Joint™ that provides needed varus/valgus alignments to treat mild to severe OA arthritis. The user-friendly Dynamic Force Strap enables on the fly adjustability in the amount of unloading force required to reduce pain with walking. The Unloader Spirit is ideal for patients with proportionate limb shape wishing to enjoy their normal daily activities. 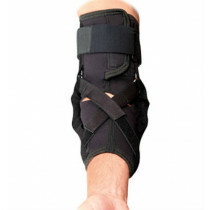 It's ideally suited for sufferers of unicompartmental knee conditions requiring load reduction, such as Articular Cartilage Defect Repair, Meniscal Cartilage Repair, Avascular Necrosis, or Tibia Plateau Fracture. Suitable for mild to severe unicompartmental osteoarthritis. Shells can be moderately adjusted for differences in patient anatomy. Fits patients with proportionate height-to-weight, moderately proportionate thigh-to-calf girth and moderate varus/valgus angulation. Removable liners and trimmable straps and pads ensure comfort. Dynamic Force Strap enables on-the-fly adjustability in the amount of unloading force - customized to an individual's needs. Hinge is on the same side as the affected compartment. 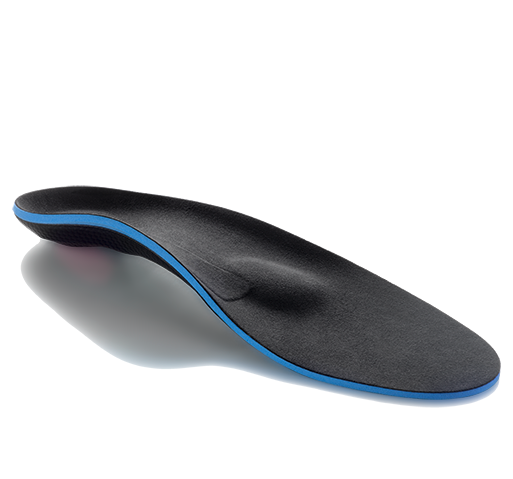 Thigh and lower leg shells are composed of a new, semi-flexible Triax material for strength. Easily adjustable hinge - comes with hex wrench for fine tuning. Designed for low to moderate activity. 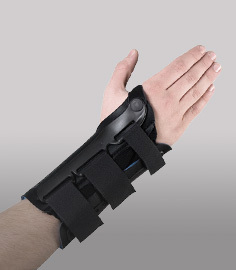 Provides medial or lateral compartment unloading. Suited for individuals with proportionate height-to-weight, moderately proportionate thigh-to-calf girth and moderate varus/valgus angulation. Available in five sizes - please see our sizing chart tab above for important measurement instructions. Mild to moderate medial or lateral unicompartmental osteoarthritis. 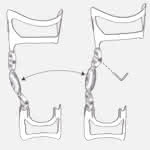 B-217510101 Right Medial XSmall 13.5 - 16"
B-217610101 Left Medial XSmall 13.5 - 16"
B-217510102 Right Medial Small 16 - 18"
B-217610102 Left Medial Small 16 - 18"
B-217510103 Right Medial Medium 18 - 20"
B-217610103 Left Medial Medium 18 - 20"
B-217510104 Right Medial Large 20 - 23.5"
B-217610104 Left Medial Large 20 - 23.5"
B-217510105 Right Medial XLarge 23.5 - 26.5"
B-217610105 Left Medial XLarge 23.5 - 26.5"
B-217520101 Right Lateral XSmall 13.5 - 16"
B-217620101 Left Lateral XSmall 13.5 - 16"
B-217520102 Right Lateral Small 16 - 18"
B-217620102 Left Lateral Small 16 - 18"
B-217520103 Right Lateral Medium 18 - 20"
B-217620103 Left Lateral Medium 18 - 20"
B-217520104 Right Lateral Large 20 - 23.5"
B-217620104 Left Lateral Large 20 - 23.5"
B-217520105 Right Lateral XLarge 23.5 - 26.5"
B-217620105 Left Lateral XLarge 23.5 - 26.5"
Triax material used in the shells. Evazote material for the frame padding is latex free. The Ossur Unloader Spirit easily adjusts to provide more or less varus/ valgus hinge angulation for customizable offloading pain relief. Works very well Review by David D.
Definitely works as described. I don't have a lot of muscle on me so I needed a sock under the brace for some extra protection. Very pleased with the purchase. As an avid golfer, I was determined to not let my arthritis stop me from being active. 18 holes of golf help keep my weight down, so I simply needed to find a decent brace so that I could walk the course without too much pain. I did a lot of research online and spoke to my doctor, and all accounts lead me here - to the Unloader Spirit. This one sure works for me and I can probably use it for the rest of my life. I like the lightweight frame and how easy it is to adjust for more relief.